In terms of the type of music they perform, most jazz musicians can be pretty clearly labeled. Even those who sometimes blur the boundaries between genres can become known for that, and consequently become a little predictable. However, multi-talented instrumentalist Dave Mullen, on a new album calledMahoney’s Way (from RMG), is anything but predictable. His music is eclectic with a capital “E”, crossing the lines between genres as if they didn’t exist, and that might be the key to Mullen. His music can be described as having elements of contemporary or progressive jazz, funk, retro-soul, even a sort of smooth jazz sound at times, all performed with a talent for improvisation that makes it exciting to hear — but difficult to classify. That might have contributed to his relative lack of fame. Despite a high level of talent and a professional career that in the last two decades has made him well-known on the New York jazz scene, he’s kept a pretty low profile nationally. 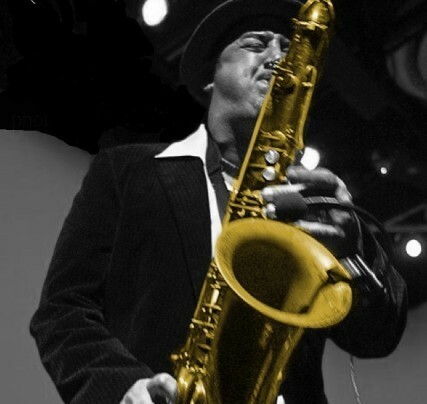 Mullen, who has at times has also called himself “Butta” or “Mahoney” (thus the album title), is equally skilled at tenor or soprano sax, flute, and even trumpet. Additionally, as he shows us on this album, he also excels as a composer — and isn’t half-bad as a vocalist. The tracks on this album were recorded at various times and with a variety of sidemen, including among them guitarists Marc Ribot and Nile Rogers, bassist Mark Egan, and drummer Victor Jones. Those guys are respected jazz performers in their own right, but Mullen is obviously the driving force here and demonstrates it again and again. As might be expected, the title cut, “Mahoney’s Way,” sets the tone for the album, with Mullen’s funky and frenetic sax play intertwined with vocal patter from one of his crew, closely followed by some nice guitar licks from Jones. Another with a rapid pace is “Like Rashaan,” while “Squid” provides something closer to a more conventional smooth jazz sound. Mullen and his group do a nice job on Stevie Wonder’s “ As,” with a soulful sound complete with chorus and perfectly suited to the mood. I also enjoyed “Senora Cosa,” with its sweet, retro-sax sound, as I did the Rodger and Hart standard, “ Bewitched,” one of the two songs on the album not written by Mullen. A very diversified and genre-stretching mix of music on this album, but never boring, and ultimately a good listen.